Only 2 days left to save on FREE shipping! Click here to shop my online store. Have your purchase delivered right to your doorstep! 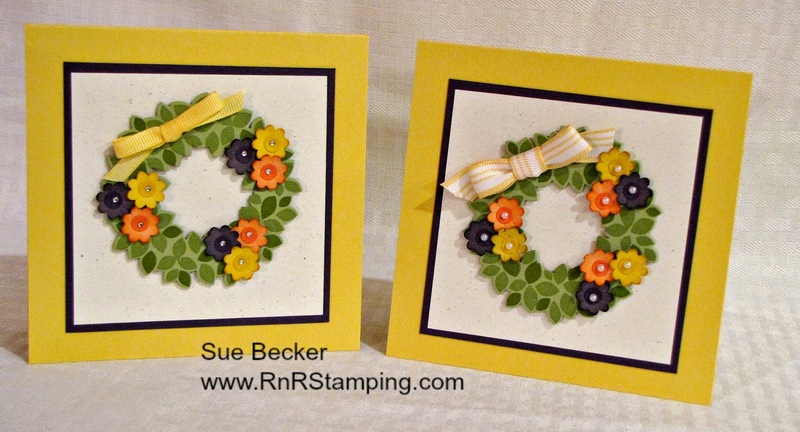 The weather here in Wisconsin is just not cooperating and I'm very impatient for spring, so I created a bit of my own with the Wonderful Wreath Framelits - they're not just for Christmas! I actually used these for my Easter cards this year. The So Saffron and Elegant Eggplant combined for a cheery base for my spring wreath! Thanks for stopping. Make your day a good one! Stock up on your favorites! Weekly Deals and Announcing FREE shipping!